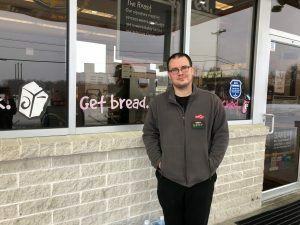 Introducing David, GetGo Team Leader in Somerset, PA! You are here: Home / Introducing David, GetGo Team Leader in Somerset, PA! 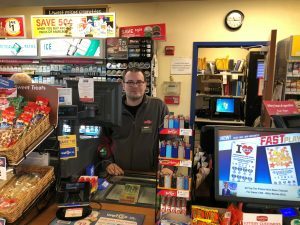 / Team Member Stories / Introducing David, GetGo Team Leader in Somerset, PA! Home > Introducing David, GetGo Team Leader in Somerset, PA! 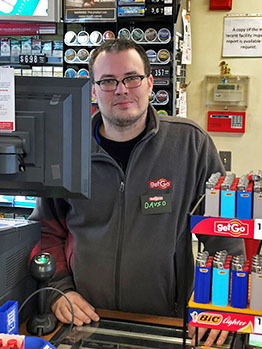 > Team Member Stories > Introducing David, GetGo Team Leader in Somerset, PA! This week’s #TeamMemberTuesday is featuring David, Team Leader at the Somerset GetGo! David has been a GetGo Team Member for over 11 years and worked his way up from a part time Cashier to running his own location. David takes a lot of pride in his work and loves seeing the regular customers that stop in. 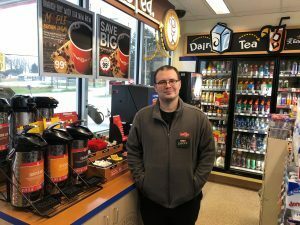 Read the rest of David’s GetGo story here. I have worked for Giant Eagle for almost 12 years. I started out as a Cashier working about 15 hours a week. I was here for a couple of years when I was offered the position as a Car Wash Lead, so I moved up to that role. In 2015, the Manager at this location retired, and I ended up going through the Store Leader Training Program. I’ve been in this position ever since. I worked my way up through the ranks. I grew up in this area. I live about 20 miles down the road, so I’ve always been at the Somerset location. It’s home to me. 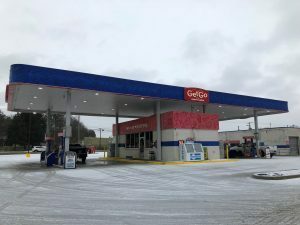 Why have you chosen to stay with GetGo? I’ve stayed because of the customers. Our regular customers that come in have a way of making your day. Even if you’re having a terrible day, seeing that familiar face is everything. It can turn your whole day around when a regular stops in. Also, the way the Company has treated me over the years has made me want to stay. I had some health issues a few years ago, and the Company was great about the time off from work that I needed. GetGo treats their Team Members very well. They’ve always been willing to work with me when I needed it. I’m most proud of the team that I’ve built up. I can go home at night, and I don’t have to worry about anything because I trust my team. I know we have a solid group that can take care of issues and business, while I’m not here. A lot of my Team Members have a lot of tenure. Almost everyone has been here for at least a year, which is great. We have a good crew here. I’d say because of all the opportunities that have been available to me over the years. When the position opened to move to the Car Wash Lead and then the position that I’m in now …. those were moments of gratitude. Knowing that Giant Eagle provided the opportunity for me to move up has kept me here. David is so nice when I visit his store. Always says hello and smiles. He makes me want to return to the friendly atmosphere.